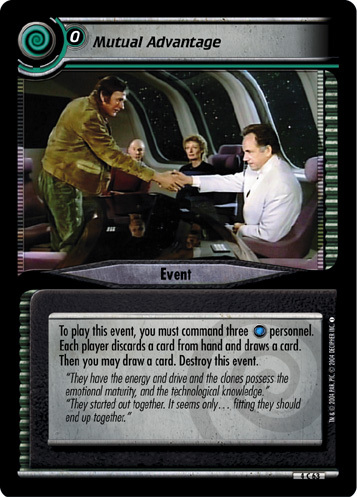 To play this event, you must command two Jem'Hadar. Plays in your core. 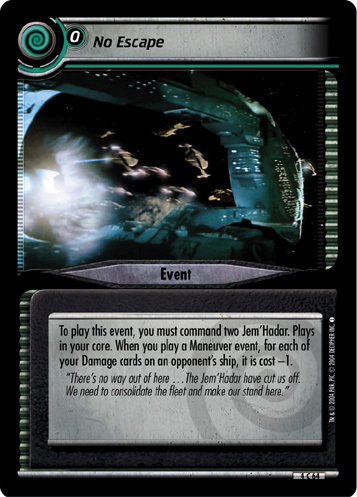 When you play a Maneuver event, for each of your Damage cards on an opponent's ship, it is cost -1. "There's no way out of here ... 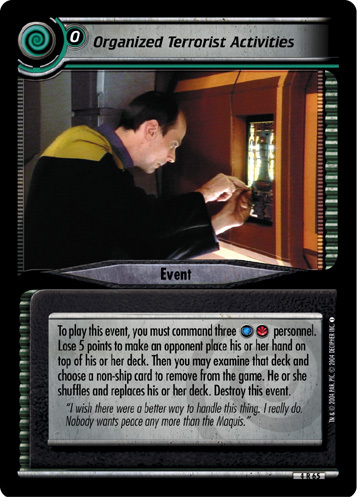 The Jem'Hadar have cut us off. We need to consolidate the fleet and make our stand here."